The defence press is reporting that on 9 January, China conducted the first test of a new hypersonic glide vehicle (HGV), launched atop of an intercontinental ballistic missile (ICBM). The vehicle can reportedly glide and manoeuvre at speeds between Mach 5 and Mach 10—or up to 10 times the speed of sound. While the Pentagon detected and monitored the launch, it took China’s Ministry of Defense six days to confirm the flight of a ‘new ultra-high-speed missile delivery vehicle’. It’s worth examining the significance of this test. I’ll have a look at the strategic dimension, and Andrew Davies will take a closer look on the military-technological implications. First, the test shows that China has made significant progress towards becoming a serious military ‘space power’. The People’s Liberation Army (PLA) regards the ability to operate HGVs and other highly sophisticated space capabilities, such as scramjet-powered vehicles, as a precondition to establishing China as a major military power. Importantly, the HGV test wasn’t unexpected for China watchers, as Beijing has long made the military use of space a national priority. The PLA’s goal over the next 10–15 years is to merge air and space power and to integrate future hypersonic weapons into a complex system of surveillance and targeting sensors, including over-the-horizon (OTH) radar as well as near space and satellite platforms. Operating HGVs in conjunction with warheads is a significant milestone towards reaching this objective. Moreover, the test is likely to further complicate US strategy for the Asia-Pacific. It demonstrates China’s latest advance in precision-strike arsenals which already includes systems such as the much discussed DF-21D anti-ship ballistic missile. The PLA will probably use the HGV technology to enhance the range and sophistication of other medium- and long-range ballistic missiles—thereby posing an even bigger risk to US forward deployed troops and assets. And while the PLA could assign hypersonic strike systems to a primarily tactical role to be employed against targets in the region, the HGV could also be part of an emerging Chinese hypersonic long-range strike architecture akin to the American Conventional Prompt Global Strike (CGPS) system. China’s HGV test and other investments in hypersonic weaponry thus pose critical questions about the future mix of offensive and defensive weapon systems in America’s Asia-Pacific deterrent posture. Because of their speed and manoeuvrability, hypersonic weapons are a real challenge for ballistic missile defences, particularly for those based on land- and sea-launched missile systems. While the US has repeatedly stated that its missile defence capabilities in Asia are only directed against a limited North Korean threat, allies such as Japan and South Korea certainly expect those systems to play a role as a deterrent against China. A successful Chinese hypersonic weapon would clearly undermine this potential unless the US manages to field a credible counter as part of its ballistic missile defence system. Otherwise, the US deterrent would need to rely overwhelmingly on offensive conventional and nuclear weapons, which could create a new dilemma for Sino-US crisis stability and deterrent credibility. The HGV test is also likely to contribute to an emerging Asian ‘arms race’ related to hypersonic weapons. These systems are quickly becoming an important part of the developing of theatre and long-range conventional ‘strategic’ strike assets for other major powers in Asia. Apart from the US and China, Russia and India are developing hypersonic weaponry. The Russian government regards this capability as absolutely essential. In this context, an analysis of China’s military modernisation and its impact on Asian security must extend beyond the Sino-US dyad to include Russian and Indian responses. Moreover, while supersonic cruise missiles are already proliferating in Asia, such as Taiwan’s Mach 2 Hsiung Feng 3, more countries in the region could have access to hypersonic weapons in the future. So it’s high time to start thinking about crisis stability in Asia under the potentially game changing conditions of hypersonic weaponry. For example, if the opposing parties have the capacity to attack targets anywhere in the region within hours, or even minutes, without much prior force movement, their motivation to strike first could be significantly increased. This dynamic raises several important questions: do conventional hypersonic weapons favour the attacker? How does effective ‘signalling’ work in these circumstances? 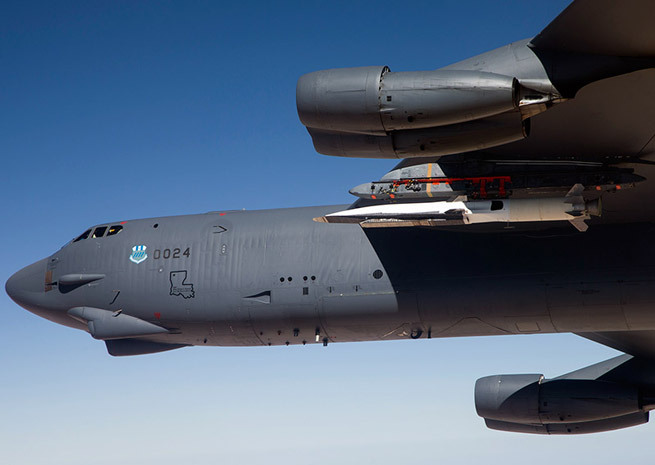 At which point do hypersonic attacks become a ‘strategic’ threat to one or the other side so as to trigger an escalated response, potentially including the use of nuclear weapons? Further, there’s a question about the future balance between offensive and defensive capabilities. Because of their response and re-engagement times, missile based defence systems could be much less effective against ballistic and/or cruise missiles that are equipped with manoeuvrable HGV warheads. Finally, from an Australian perspective, the question is how ADF force planning should prepare for an Asia-Pacific strategic environment in which hypersonic and supersonic ballistic and cruise missiles play a prominent role. For example, should Navy and Air Force start laying the groundwork for acquiring and operating such systems? And what are the strategic and operational implications for ADF regional and global deployments to theatres in which a potential adversary possesses such systems? Benjamin Schreer is a senior analyst at ASPI. Image courtesy of USAF.